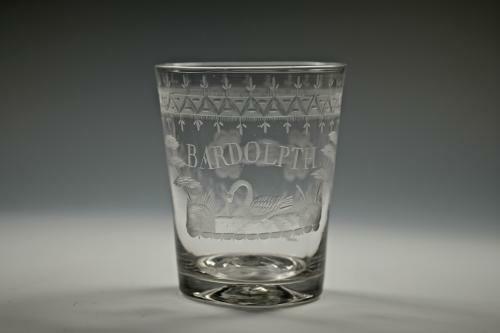 Fine tumbler engraved Bardolpth above a swan the reverse with clasped hands English C1780. Note: Bardolpth could refer to the fictional character who appears in four plays by William Shakespeare. He is a thief who forms part of the entourage of Sir John Falstaff.